a home cinema set up. With 68 seats crammed into a wee room, everyone ends up shuffling around until they have a free seat on at least one side, and then mutter when latecomers plunk themselves down in the empty seats. And the screen must have a diagonal of a whole 6–7 metres. But, what about the film? 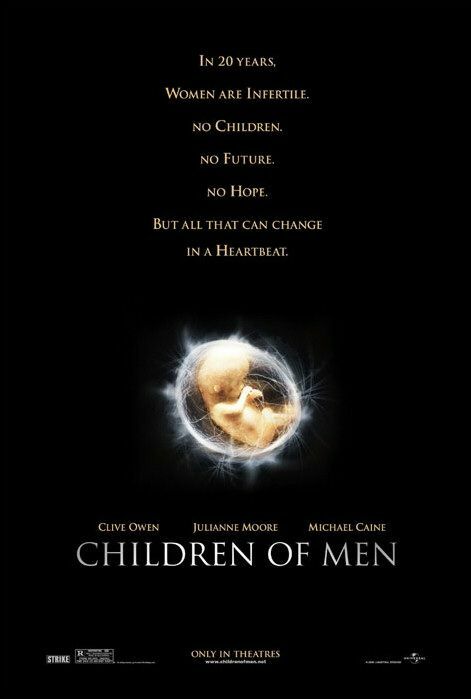 Loosely based on PD James’ novel, Children of Men portrays the world in 2027. Infertility had quickly spread across the world. No babies born anywhere after 2009. In fact, near the start of the film, the murder of the world’s youngest person at the age of 18 (referred to as the “youngest baby”) is announced. So it’s a world without children. One missing the cries of babies. Lacking hope. “Quietus—you decide when it's time”. 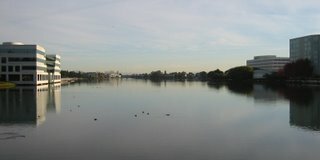 On the surface, London looks much the same, maybe just a little more dingy. Old red buses, bin bags still sit out on streets, mounted guards in ceremonial uniform riding down Pall Mall, people sitting in parks. England has survived better than the rest of the world, much of which has been torn apart by war and nuclear terror. But England is now a magnet for immigration. So outlying areas, like Bexhill have been turned into massive refugee (Fugee) camps, with the boundaries controlled by the military, and run by gangs inside. Theo lives in London. His son died in an accident very young. His ex-wife is an activist with The Fishes, working to promote Fugee rights, with connections to “The Human Project”, a group of scientists who have organised a fertility research centre on the Azores. Pressurised into getting transit papers from his powerful uncle, Theo ends up escorting a Fugee girl called Kee to the coast, hoping to rendezvous with a disguised hospital ship. Their plan is to get to the coast by getting arrested and getting inside Bexhill refugee camp! Miraculously, the girl is pregnant. And The Fishes resistance want Kee to stay in England to use the baby as a political pawn; while she needs to escape. But in the middle of all of this there is humour. At one point in the film, Theo loses his shoes, and spends most of the rest of the film adventuring in a pair of flip flops! Theo spends the entire film protecting and helping people. He never carries a weapon, never kills one. Except perhaps by deliberately opening the car door and knocking two people of their motorbike! There is also hope. Military might silenced by the appearance of a baby. Soldiers and rebels crossing themselves, reaching out to touch the garment of the baby or his mother. And the human nature that can be so quickly amazed, and then so swiftly distracted back to warfare. There are a number of spectacular and impossibly long one-take shots in the film. At the time, I didn’t notice that they were uncut. Rather I noticed that I was drawn closer to the action; it become more intense as you viewed the action in real time. So look out for the car chase near the beginning, and a scene near the climax where Theo and Kee “move hundreds of feet along a street, into a building and up a flight of stairs, have a scene with dialogue, during which there is continuous gunplay and explosions, and a retreat back down and out of the building” (to quote Wikipedia). In summary, it's a very thought provoking film, and makes me want to read the book (which is quite different to the screenplay). For many couples in 2006, childlessness is a choice, rather than an absolute condition. For others, it is already a sad forced reality through health or death. Society loses something when young voices are silenced, or when any section of the community is absent or ignored. 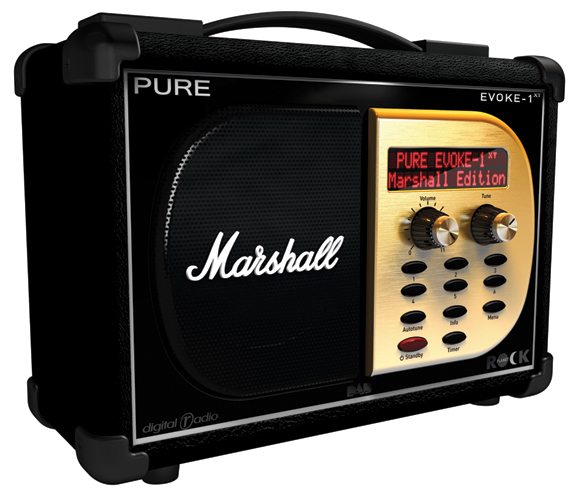 Novelty DAB Radios - Pure's Marshall Amp! Imagine squeezing a Pure Evoke-1 DAB Radio and a small Marshall guitar amp into your microwave and set it to fizzle for 10 minutes. Ding! When you open the door, the melted fusion that will greet you (along with the noxious fumes - please don’t try this at home) will look something like the newly launched Pure Evoke-1XT Marshall DAB radio. What next? Well, the Stuff magazine podcast (variable quality) suggested that Pure could bring out a DAB radio “shaped like a book that just plays [BBC] Radio 7 and OneWord”. Let’s make a prediction about the BBC. Michael Grade’s departure to ITV feels like a good juncture in the corporation’s history to take a punt on their future actions. After a bitter battle, the government will bow to their own pressure and concede that a lesser licence fee increase will be more acceptable to the general public and the rest of the media industry. So the BBC's big play for lots more money to build innovative services will be squashed. The licence fee settlement will be closer to RPI plus ½% rather than the asked for RPI+1.8% (or the original +2.3%). The Salford move will be canned. “A consequence of government short-sightedness” will ring out the message from the BBC Press Office. And given that many of the staff in affected departments were never convinced it was a good move, this will provide a morale boost for an organisation that’s just lost it’s chairman to the opposition. However, to be seen to satisfy the wider get-out-of-London campaign, will be introduced targets to increase the number of staff working in existing regional BBC centres outside of the M25, and capped head count increases in London. So expect more children’s programming to have a Welsh accent. Expect more new media from Salford, Manchester to salve the wound and boost the emerging technology industry in the area. But expect the BBC in Manchester to move to new smaller city centre premises in 2011, but not to Salford in 2010. There will be further outsourcing of non-core aspects of the BBC to reduce cost. If the pattern of moving Human Resources to Reed in Belfast is followed, this will help with the decentralisation/regionalisation message too. Some senior managers and commissioners will be encouraged to work a few days a week outside London. They’ll be dubbed “regional champions” and will spend a few nights a week wining and dining local councillors and regional stakeholders to boost BBC’s image in the provinces. Personally, it felt a lot better quality than the last few Bond films. Right from the black and white start, the shots were brilliantly framed, the editing was slick, the mood and atmosphere was consistently reinforced. It felt like the entire story had been written in advance, in contrast to some of the recent Bond films which were reported to have started filming stunts before the screenplay was signed off. Like dealers betting on the stock market, the film makers correctly intersected two big trends: parkour (free running) and poker. 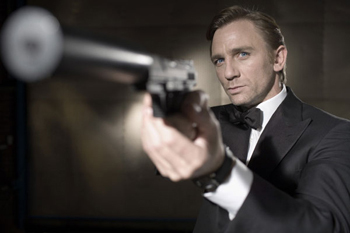 Daniel Craig plays a much more realistic Bond. (Bit of a tautology given the farcical and fantastic nature of the Bond franchise.) He was more bloodied and sustained more cuts and bruises than normal. Though they seemed to heal quickly, nearly as quickly as his white formal shirts got laundered. The much talked-about torture scene included several moments when the huge cinema audience burst out laughing alongside a laughing Bond. No doubt carefully edited to reduce the tension and downgrade from a 15 certificate to 12A. Eva Green plays a strong leading lady rather than an old-style Bond girl. Oddles of attitude, plenty of style. The gadgets were still there in the background, but sometimes more subtly woven into the plot than before. Simon Mayo and Mark Kermode will be happy to hear that there was a bit of a titter when the Omega watch was mentioned, though not too many in the audience went “Tching Tching!” as requested! My only real criticisms would be about the opening music, the overall length and the ending(s). As I walked out of the cinema, I’d no idea what the theme music had been in the impressive opening sequence. It wasn’t hummable. While I know the film’s title is Casino Royale, but the poker scenes were too protracted and needed a good fifteen minutes to fall onto the cutting room floor. The film felt like it was nearly over, and then it had an encore in Venice and nearly ended again, before a couple of actors came on stage after another costume change to have a final shoot out. Probably one encore too many. Switching on the hotel TV tonight, Sky News were leading on the breaking news from tomorrow morning’s Daily Telegraph. 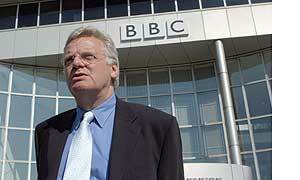 Jeff Randall, ex-BBC Economic Editor, is claiming that Michael Grade, the BBC Chairman, is defecting to run ITV in a hands-on executive chairman role. Interestingly BBC News 24 are running Stephen Sackur’s HARDtalk, and only acknowledge the Grade story once every five minutes in the middle of the scrolling news at the bottom of the screen. Meanwhile, Sky News must be regretting having booked Syed Ahmed (from this year’s BBC2 Apprentice) and Steven Norris for the late night paper review section. Ahmed has been in a BBC programme, and has featured in news and gossip in the press, but isn’t insightful into its running. Norris is making a better job of it. For about half an hour, Sky have barely drawn breath, broadcasting a constant verbiage of Grade comment and speculation. Media stories seem to over-dominate the news agenda. So other than making sure that the UK mediaocracy all tune into Sky and remember that the story broke there first (rather than on the BBC, or in the Telegraph tomorrow morning), is it justified? The only time I saw Michael Grade face to face was at the Quiz the Governors accountability meeting in Belfast in April. He did come across as being more of a programme maker than a bureaucrat. He was much more comfortable explaining to the audience about camera and teleprompters—the mechanics of the night and being in a live studio—and justifying the broadcaster’s output to the NI audience. Does the US really have a culture of customer service? When across in the US earlie this month, I expected to face wave after wave of smarmy, saccharine “have a nice day” advice. But not in SF. 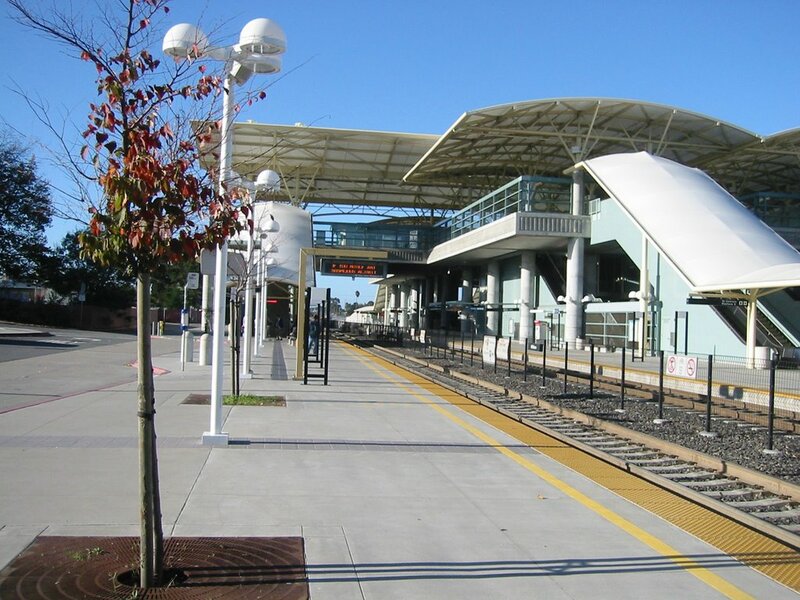 Millbrae train station is a single stop on the local BART transit system away from San Francisco Airport (SFO) and all the naïve tourists and visitors it must bring to the region. From there it's onto the longer-distance CalTrain service. 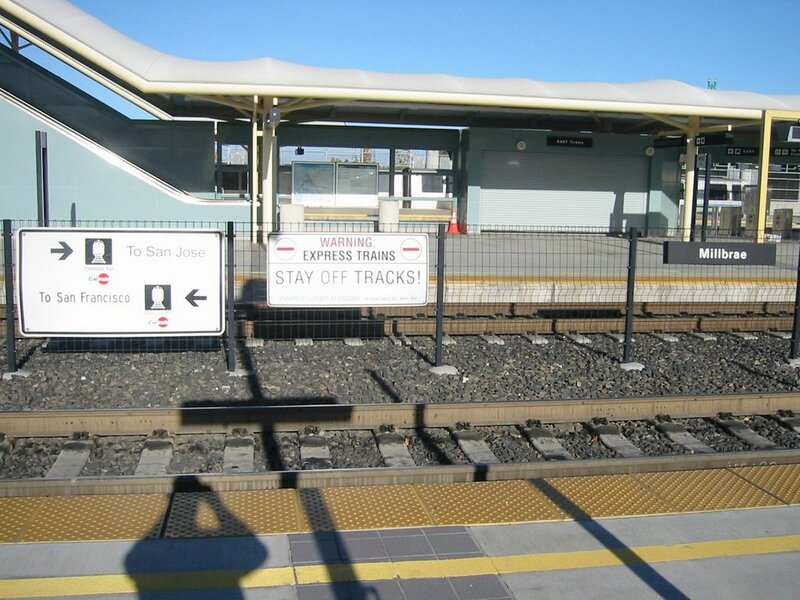 Both sides of the CalTrain platforms at Millbrae display the same really helpful sign. While it tells you where you’d reach if you set off walking up the track, it doesn’t tell you which side of the platform you'd expect to wait on to catch the train going in your prefferred direction. 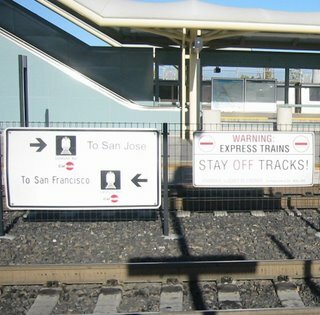 In fact, nothing tells you which platform you need to wait on until you either ask someone or a train arrives. It’s quite a long way up and across the bridge should you find yourself standing on the wrong side when the train arrive. 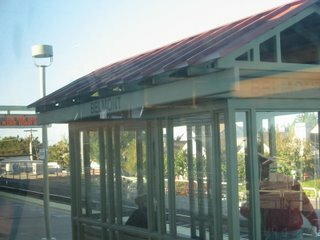 And the electronic platform signs tell you the name of the train company, their website address, and a security message, but not the time of the next train. Helpful or what? Oh, and the hotel overcharged me $260 when I checked out - ignoring the room rate on the booking confirmation. Not so much as a sorry when I pointed out the error. Customer service hardly at its best. 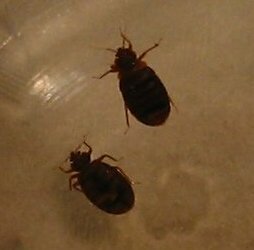 Bugs - what are they, and where did I find them? And where did I find them? Answer later on this week. 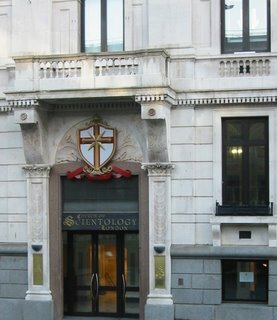 If newly married Tom and Katie Cruise wanted to meet up with London Scientologists ... they’d either want to talk to a City of London policeman, or visit the Church of Scientology’s London HQ - right opposite Blackfriars rail and tube station. As the film begins, Déborah François plays a young girl Mélanie preparing for a piano audition. Reassuringly, her father, a butcher, insists that they’ll keep paying for lessons even if she doesn’t pass. “I wouldn’t want you to” she replies. Alone in the exam room in front of the assessors, the piece is going well. 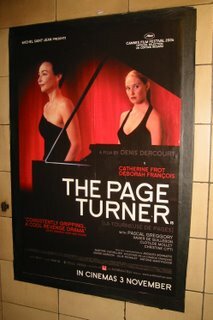 Until a fan slips into the room to get an autograph from the famous concert pianist Ariane (played by Catherine Frot) who is one of the examiners. The fuss distracts Mélanie, she stops playing, and when she restarts, her performance disintegrates. Returning home, Mélanie locks the piano and removes the bust of Mozart. Her bright musical future ruined by Ariane’s rudeness and lack of control. All this brought back memories of childhood and taking music exams in Belfast School of Music in Belfast’s Donegal Pass. Waiting nervously in corridors and rooms with wall mounted electric bar heaters, before making the long walk to enter the wooden-floored performance rooms to trot out the three prepared pieces and tackle the ghastly sight-reading. Last time I saw François, she was playing the role of Sonia, a young mother in the chaotic and twisted L’enfant (The Child). La Tourneuse de Pages (The Page Turner) is an altogether calmer film: the menace is understated, and more powerful as a consequence. The film is subtitled into English. But from early on, it is clear that speech is minimised. Jérôme Lemonnier’s piano score in the background sets the mood and negates the need for too many voices to clutter up the story. The story jumps forward. Mélanie is now a young woman, starting work as an intern in a law firm. The Mozart bust sits on the desk in her flat. She volunteers to be nanny for the boss’s son Tristan while he will be away from home on business and her internship will be over. And so she finds herself living in the family mansion. The boss’s wife? Ariane the concert pianist. She is now traumatised after a car accident, very nervous, and only plays as part of a violin/cello/piano trio. And she doesn’t recognise Mélanie. Revenge is served slowly throughout the rest of the film. Mélanie fills in as Ariane’s page turner during practices, and her quiet support and musical knowledge ensure that she becomes an invaluable prop for Ariane in the run up to an important radio concert. But Ariane’s faults haven’t gone away. She’s slow to thank Mélanie after the successful concert—signing an autograph first—and even interrupts dinner to get her son to answer the phone. (Spolier alert!) A talented player himself, Mélanie encourages Tristan to practice playing a difficult piece at speed, so he can show off on his father’s return … all the while aware that this could cause physical pain and damage to his hands and arms. Mélanie acknowledges the wandering eye of the trio’s cellist, and drops his cello (complete with long protruding metal spike) onto his foot as he tries to fondle her. Ouch. Showing a glimpse of the violence that might lie beneath the beautiful, attentive exterior. And as Ariane becomes more and more emotionally attached to Mélanie, there are the beginnings of a physical attraction. The night before Mélanie is due to leave the family, Ariane gives her a card declaring her love. Mélanie leaves early before the family waken. And the dominoes that she has so carefully set up all fall down with a clinical precision. Ariane’s life has been completely deconstructed. Her career is in pieces, her marriage, family and wealth is in jeopardy. Her future is ruined. It’s all too much for her. Her final fall is an unexpected and unbloody twist. It’s a great film. Find it in a cinema or later on DVD. Not too long. Not rushed. Very French. But with just enough momentum to build up to a satisfying conclusion, and lingering doubt over who the real victim is. 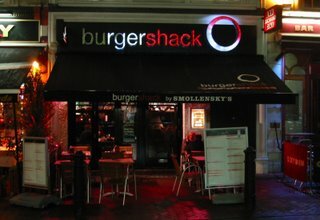 Stuck in London last night, as promised I headed around to grab dinner in one of central London’s three Burger Shack franchises. Irving Street proved the most convenient—just south of Leicester Square’s Odeon cinema. It turned out to be table service. The Chicken, Brie & Cranberry burger arrived about 60 seconds after ordering and was tasty, but not particularly special. The mango milkshake was the highlight (though it arrived about 5 minutes after the burger). 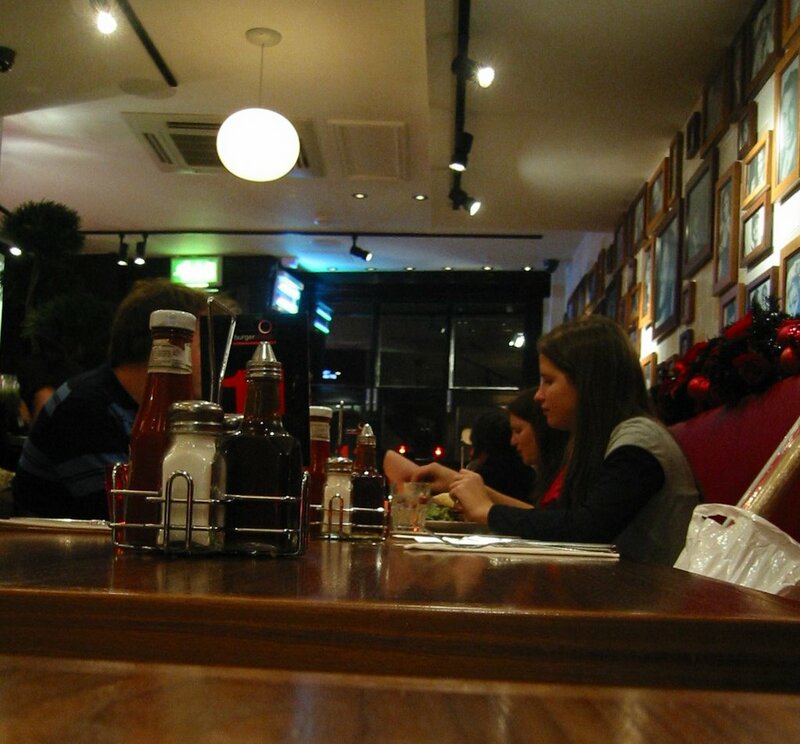 Overall, Burger Shack was low on atmosphere. 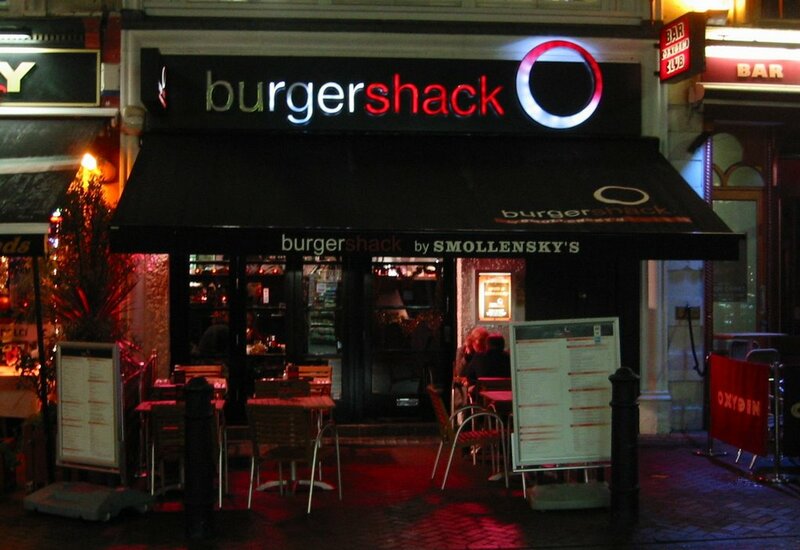 Not a patch on Gourmet Burger Kitchen (London), Ultimate Burger (London) or Gourmet Burger Bank (Belmont, East Belfast). Spooks was breathtaking … right up to the end of the last episode. Torchwood is good, but only alternate episodes. It’s been fun to rewatch This Life, ten years after it was first broadcast (in the build up to the Christmas special). The State Within has me glued. The X Factor is just about ok now it's past the awful audition stages – but only by fast-forwarding through recordings of the Saturday night shows. I picked up 26a in a three for two offer at Waterstones a few months ago. It’s Diana Evans’ first novel, and the front and back covers are emblazoned with “shortlisted for …” and “winner of …” banners. Georgia and Bessie are identical twins, sharing life, their thoughts intertwined and interdependent. The book follows them through their childhood as they grow up into adulthood, watching their research, manufacture and sale of flapjacks. Their older sister Bel acts as a trailblazer, discovering the complexity of life outside the safety of teenage home life. Younger sister Kemy shows what youthful life would be like without having a twin to rely on or support. The sentence construction is unusual. Pretty short. Something happens; then something else. And then there’s some kind of explanation. Before the next scene unfolds. Nothing wrong with the style. Just unusual. It’s an interesting mix of north London (Neasden) and Nigeria, contrasting the differing bustling environments. Other family members’ history is played back as the episodic chapters tell their tale. We discover about the female Nigerian role models, their English father’s abusive behaviour and experiences in Laos. The twins’ mother Ida is still homesick for Africa, and talks to her absent mother. Imbalance is all around. As you reach the Third Bit (seriously, that’s what the third chunk of chapters are called!) the psychological knots that tie the twins together are beginning to unravel as they try to step out on their own. Bessi’s six month stint on St Lucia highlights that Georgia can’t cope without her. A stable loving relationship only dampens the flames that consume and destroy her. The final section of the book - the Best Bit - is badly named. I found it heart-wrenching, gruelling to read, and hard to remember that it was only fiction. Should there really be prizes for upsetting literature. Or is that success? Is that the purpose of fiction, to make us think outside our comfort zones? To face up to the internal mental torture that many people experience, that drives their behaviour but isn’t recognised until too late. It was only afterwards that I realised that Diana Evans has used her own life and the death of her twin sister as a starting point for the book. I’m not sure I recommend this book. I doubt if I’ll read Diana Evans second novel. (Though the short story she’s working on “about a little girl who gets sucked into a hoover” sounds fascinating). But I’m glad I finished 26a. Given the McDonaldization and globalisation of society - great book by the way - I was surprised to find that US soda cans have different designs to European ones. Not only do Coke and Pepsi cans look different, but there are a raft of different flavours not available in Europe. 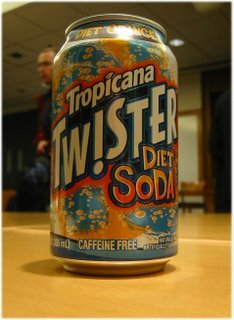 Anyone ever seen a Tropicana Twister, never mind the Diet Soda variant, in Belfast? Modern Art or Roadside Rubbish? As we trudged along the road in-between the two lakes on the way from the hotel to work this time last week, we passed an interesting structure resting on the grass verge. I couldn’t quite work out if it was meant to be there, or was a remnant of the builders forgetting to tidy up at the end of a job? 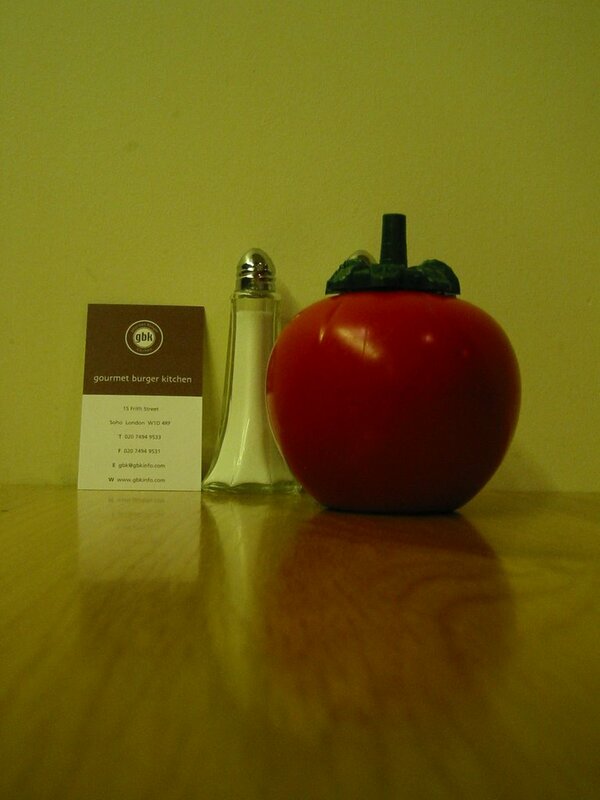 Gourmet Burger Kitchen - London Soho - How does it compare? I haven’t been very true to the Alan in Belfast moniker over the last fortnight, having spent time in San Francisco, Ipswich, London, Ipswich and back to London again. On Thursday night, the only cinema in London’s Leicester Square showing Casino Royale was sold out. So along with a colleague, I popped up the road to Gourmet Burger Kitchen on Firth Street, off Shaftsbury Avenue on the recommendation of Aaron who left a comment a couple of weeks ago. 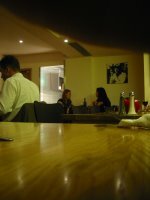 It was about a quarter past eight, but they still had a few tables free. there’s not much atmosphere, the décor is bland, and the tables are packed in. 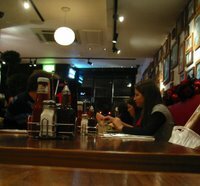 (Though it was brighter than Ultimate Burger. The Blue Cheese burger and fries, along with a magnificent strawberry milkshake arrived quickly. My colleague’s approach of picking up the burger and eating it with his hands was a big mistake! Definitely needs a knife and fork to attack the layers of salad, sauces that fly out onto your shirt, and cheese that drips onto the plate. Overall, it was good quality, fast, but not terribly exciting. I think this just leaves the Burger Shack chain to check out! But looking back, the school plays this teacher organised did make an impression. If I remember correctly, Sean O’Casey’s trilogy The Shadow of a Gunman, Juno and the Paycock (including Captain Boyle’s line “Th' whole worl's in a terrible state o' chassis”) and The Plough and the Stars played on alternate years. It feels like my more recent interest in the arts traces back to viewing these early school dramatics, and the rather experimental drama workshops he held during some English lessons. Looking back, even the more unenjoyable aspects of school education can prove worthwhile in the long run. Thank you Mr O. And all the best for retirement, writing and spending time on endeavours that you enjoy. East Belfasters might remember the CS Lewis / Narnia lantern parade through the streets last November. Certainly I remember wheeling a pram with a near-sleeping daughter in it through the noisy streets, trying to keep her out of earshot of the drums and music. 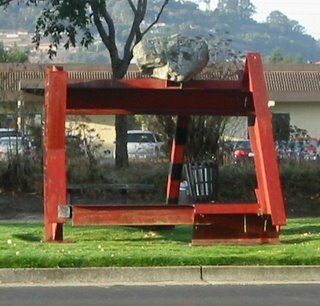 Some shaky photos can be seen across at Letter to America. This year the Pirates of the Lagan Lantern Parade will be held on Saturday 9 December, with the East Belfast contingent leaving Bridge End at 7pm, and snaking through to join the other groups at the City Hall to its conclusion in Custom House Square. A date for your diaries – wrap up warm! 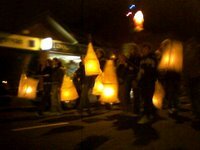 And if you’d like to participate in the parade rather than just spectating, lantern and costume workshops are being held between 7-9pm at the Wandsworth Community Centre (26a Belmont Road) on Mon 20 Nov and Mon 4 Dec. Alison’s contact details are on their website if you want to book onto the workshops. 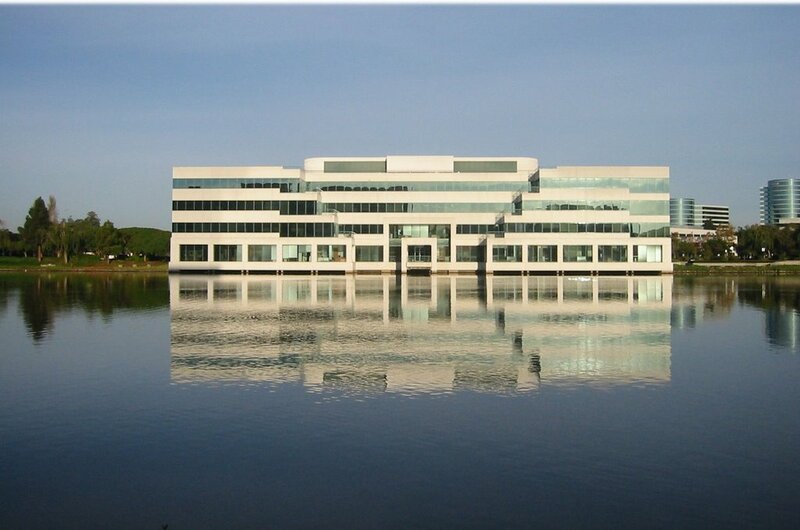 But another consequence of having too much land is the temptation to have too many artificial lakes, particularly sited in front of impressive office blocks. It makes walking to work such a pain, forcing you to skirt half way around these oversized puddles to get access to the front door of the building you want. OK, so big deal. No one walks anywhere in the US. Cars, big cars, and pick-up trucks rule. So putting a lake in the way doesn’t matter. But when you can see your destination from the hotel car park, it seems a shame not to make the ten minute walk. Turned out we needed to circumnavigate two lakes (one with a huge fountain) to reach our destination each morning. Cheap parking = too much land? 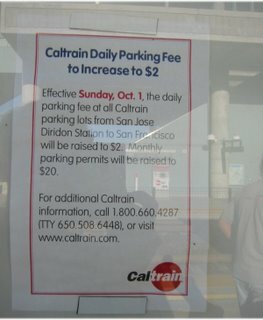 Is a result of being sparsely populated that the US west coast CalTrain line can offer all-day parking at stations for $2 a day, or $20 a week? 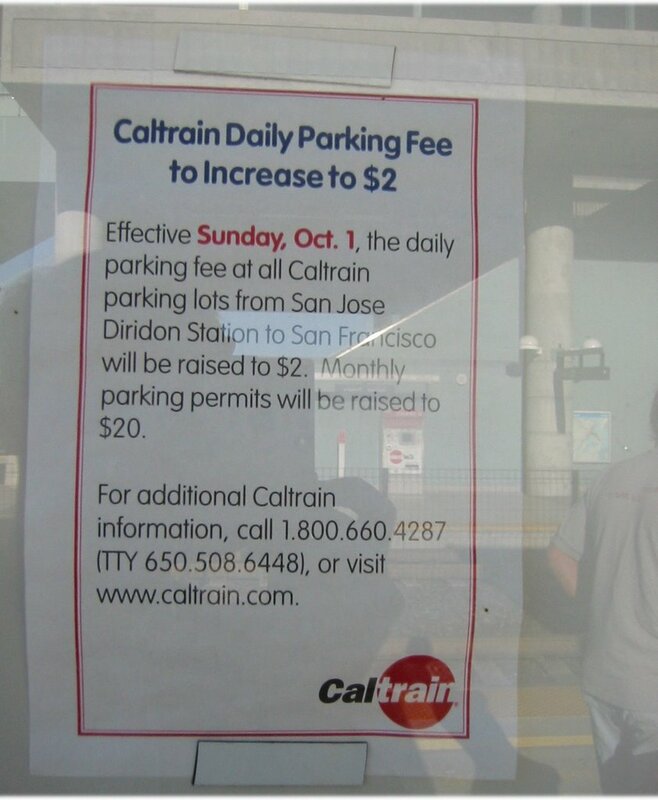 Many of the car parks around Belfast stations charge closer to $20 a day! 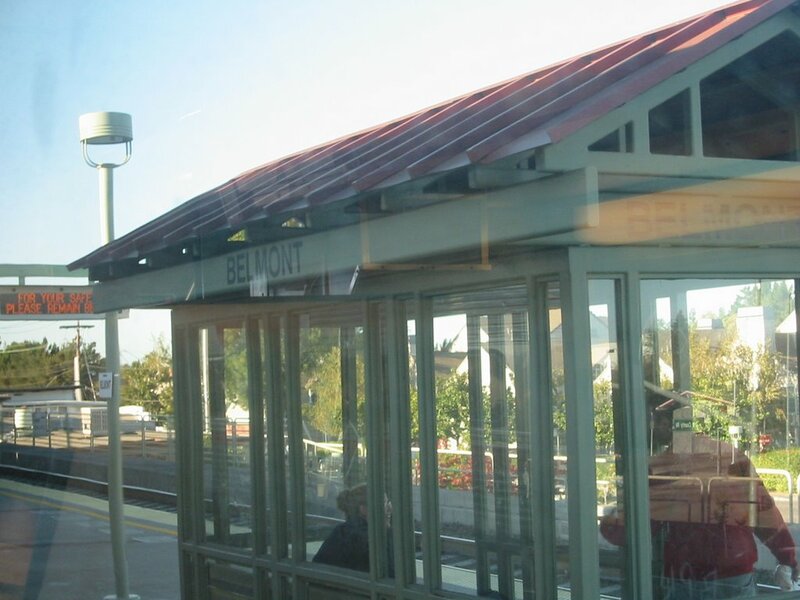 If you’re an East Belfast reader ... imagine my surprise when the CalTrain going south out of San Francisco stopped at Belmont. I felt like I was nearly back home. 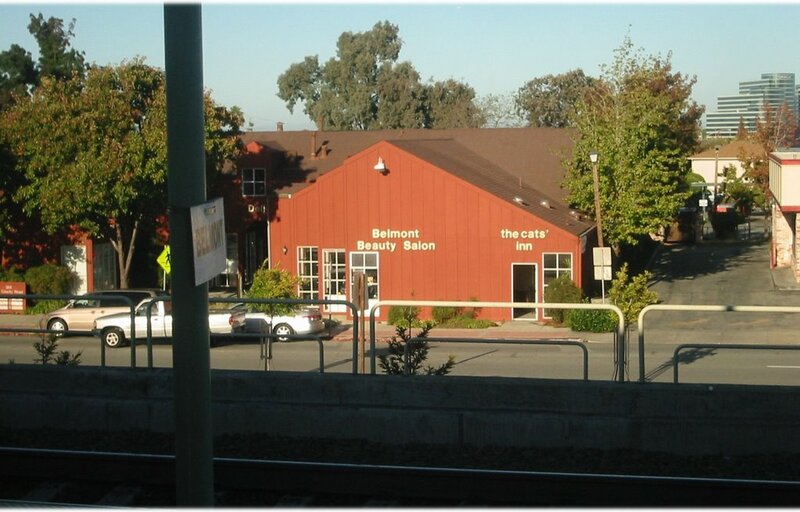 Maybe the Gourmet Burger Bank guys will open The Cats’ Inn on the Belmont Road! 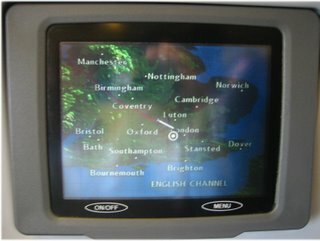 It was just a little disconcerting to see that the in-flight map displayed on the head rest of our British Airways flight back from San Francisco thought that Stansted was a south London airport. 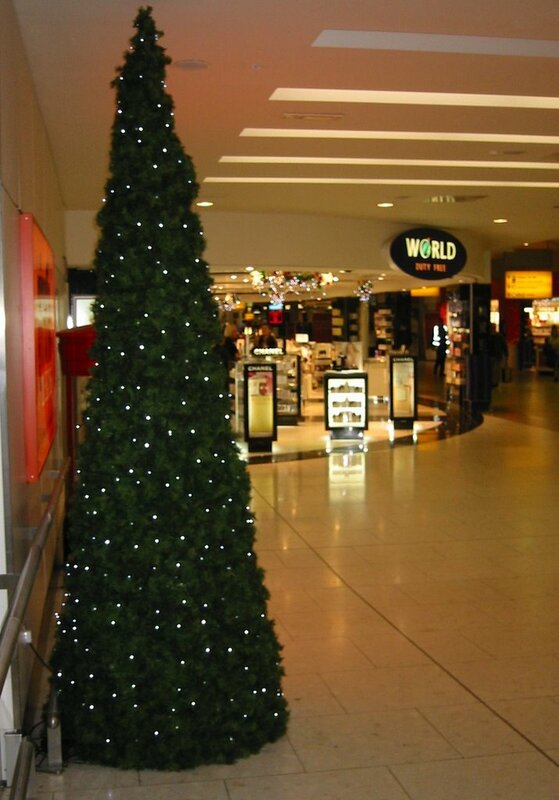 This snap was taken in Heathrow Terminal 1 (International) on the 8th November. A full seven weeks before Christmas. And the trees are glowing and the ceiling decorations are sparkling all around the terminal. When it comes to pudding, there’s one dish on the dessert menu that nearly guarantees I’ll overcome my full stomach and make room for more. And so it was on Monday night that I ordered crème brûlée from the menu at Ipswich’s Salthouse Hotel. But it didn’t turn up in a small pottery or white enamel ramekin. No. It wasn’t circular at all. It was looooong. Very long. With raisin biscuits to accompany it. A nice alternative to the traditional way. I need to tie up a loose end. 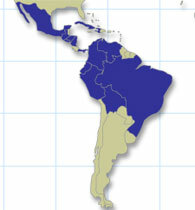 After a mere 48 rounds of voting the deadlock between bitter rivals Guatemala and Venezuela was resolved as the two nations dropped out of the race, leaving Panama as the compromise candidate and winner on 7 November.. The final round finally gave someone more than the 120 votes needed to clinch the last remaining seat that was up for grabs on the UN Security Council. Guatemala (publicly supported by the US) and Venezuela (who President Chavez called US President Bush “the devil”) agreed to withdraw from the race in favour of Panama, which they saw as a bridge between the northern and southern nations in Latin America. With the first votes cast for the Latin American and Caribbean seat cast on 16 October, this was only the third longest standoff in the UN Security Council’s history. Belgium, Indonesia, Italy, Panama and South Africa - the five nations selected in this year’s round of voting - take their places around the fifteen seat Securitry Council table on 1 January 2007. It’s been mentioned on this blog before that BBC Northern Ireland produce precious incredibly little drama, particularly “returning drama series”. And the few that are produced locally, are actually filmed on the UK mainland (eg, Murphy’s Law). An anthology of four contemporary adaptations of classic fairy tales will be shot in Northern Ireland next summer, and transmitted on BBC1 during Autumn 2007. The BBC press release announced three of the four stories. The writers behind Cutting It, Outlaws and The League of Gentlemen will adapt The Emperor’s New Clothes, Cinderella and Billy Goat Gruff. Fairy Tales is a Hat Trick/BBC NI production with the support of the Northern Ireland Film and Television Commission. Via C21Media.net and The Bog Standard Blog. A few months ago, I was looking forward to seeing Stormbreaker in the cinema. A young James Bond, with a storyline on top of the stunts and gadgets. But the moment passed, and it fell from the cinema listings. So on the flight on the way back from San Francisco, I settled down to watch Stormbreaker during dinner and before drifting off to sleep. Based on the first book in Anthony Horowitz’s series of novels, Stormbreaker introduces us to Alex Rider, a 14-year old dragged into the world of espionage and adventure when his spy uncle dies. It was disappointing. A poor imitation. Neither funny, nor a spoof, nor a decent alternative. Very little for the adult audience. And the spectacular 4 mile chase through London had received big billing before the film’s release. It was nice to see familiar sights, but it wasn’t exciting. We took advantage of tickets for Thursday night’s Golden State Warriors vs Oklahoma/New Orleans Hornets NBA game. I don’t think I’ve seen a basketball match since Channel 4 showed them on Tuesday(?) nights when they first started broadcasting. Picking up the reserved tickets from the booth, we went down into the corporate section, grabbed hot dogs and cheesy nachos (though it didn’t taste like it had ever been near a cow!) and took our ringside seats just as the game started. Being newbies to the sport, and being completely unprepared, at that stage we didn’t even know it was NBA, never mind who the teams were! 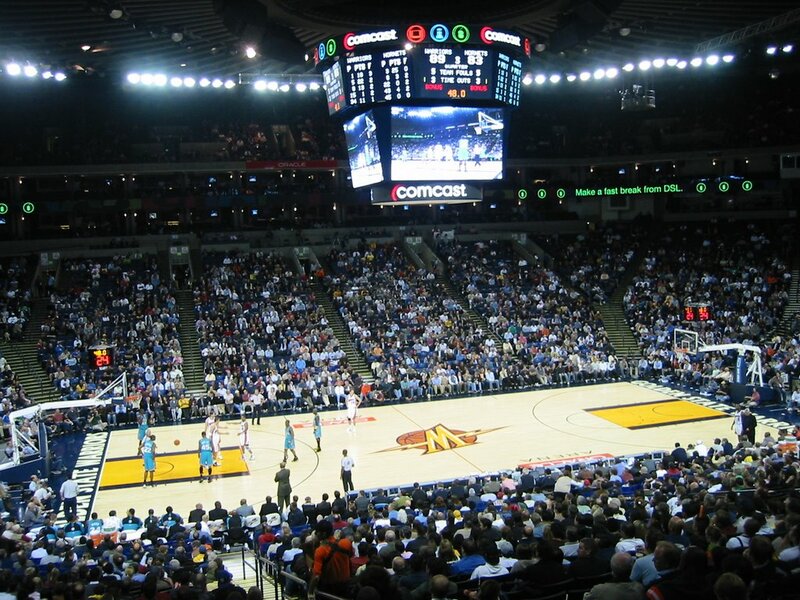 But after a while, the partisan crowd made it clear who the home team were - the Oakland Warriors. Massive cheers for home baskets and boos for fouls against the Warriors. Complete silence when the visiting Hornets scored. Massive boos when they took penalty throws (or whatever they’re called). Four twelve minute quarters: 48 minutes stretched over two and a half hours. The frequent time outs and intervals featured the delights of the colourful house band perched on a high up balcony complete with jib cam to get shots of them, the Warrior’s mascot bouncing around the stadium, giving out caps to the season ticket holder of the week, and the frighteningly youthful cheerleaders who appeared in a different costume every quarter to add colour to the event. There is a disadvantage to good seats. Row two, which is actually about six rows back by the time the team, statisticians and commentators have taken their places. The downside is that you’re too close to the action, having to move your head to track the ball. Further up in the cheap seats, there’s a birds eye view of the entire court, and probably better a atmosphere as everyone is jammed in. When we got home to the hotel, ESPN had compressed the two and a half hours of “action” down to a thirty second summary. Our seats were just out of shot as zoomed in on the basket, though we could occasionally see ourselves on the central suspended scoreboard. 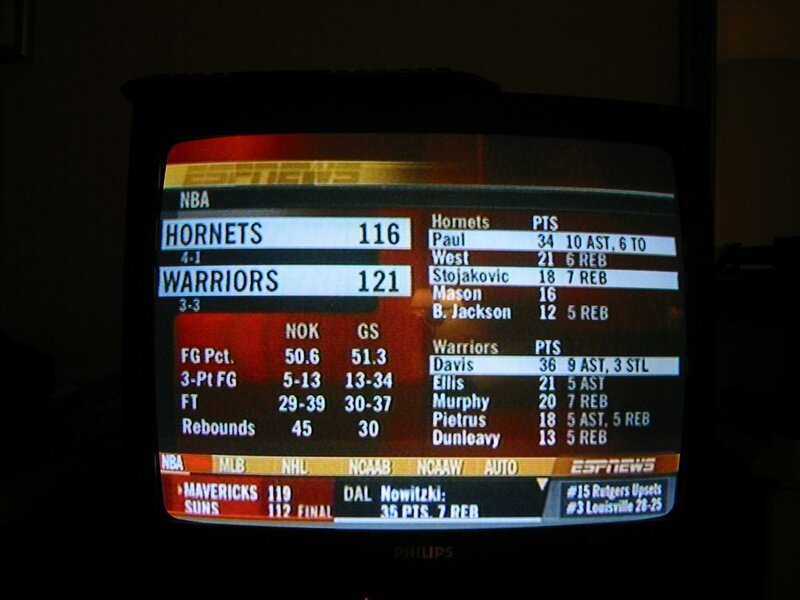 Just in case you’ve got here via Google, I should point out that the final score was Warriors 121, Hornets 116. 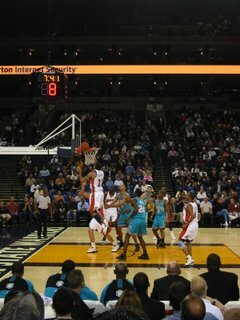 The Hornets were the last unbeaten team in the NBA league. 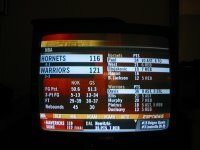 While the Warriors were always in the lead, the Hornets only tailed behind by a few points the whole way through. The last five minutes of the last quarter was the longest half hour in history. The last thirty seconds was the longest five minutes. 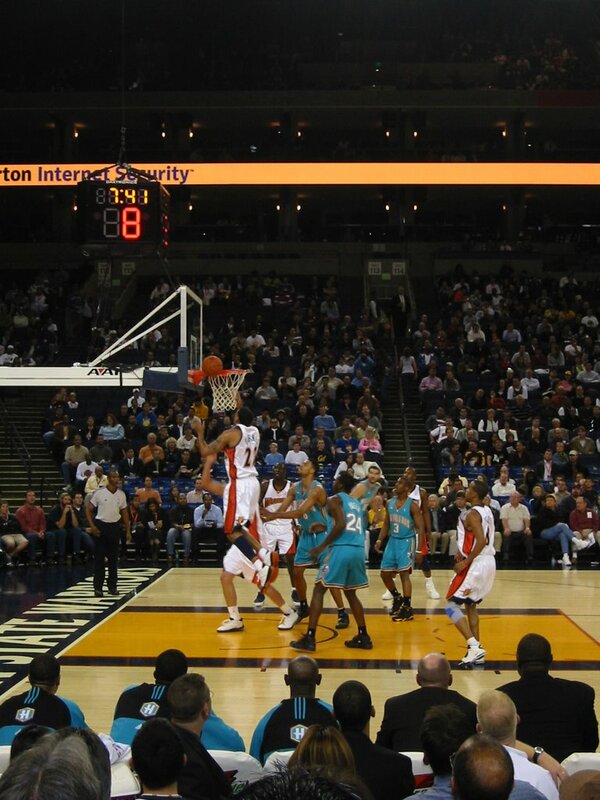 Could the Hornets claw back six points to grasp victory. Surely there wouldn’t be time. But a couple of lucky breaks and careless fouls by the Warriors gave them lots of chances. They climbed back to within two points with less than ten seconds to spare. 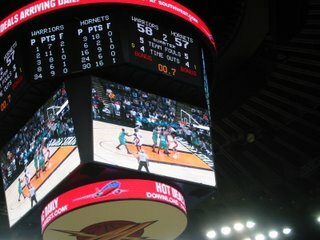 And then they gave way at the end, leaving the Warriors to take a five point lead. All in all an enjoyable experience - about the only chance I had to get out in the 54 hours I was in SF. Boy goes to school with girl. Boy and girl stumble across meteor: she touches meteor and gets superpowers. He doesn’t. They fall out. Ten years later, another guy meets the girl. It’s hard to be a humble, well-balanced superhero. And guy has feelings for someone else in work. They fall out. She’s jealous. The original boy is now an nasty piece of work that is holding out for his first love. More meteor rock. Two superheroes. Everyone gets the partner they love. (Even the guy’s geeky friend. At first glance I ignored this in-flight film. But waking up somewhere over northern Canada on the second (or third) run through. Uma Thurman plays a frumpy gallery owner (Jenny) and a cookie superhero (G-Girl) who enjoys exercising her power over everyone else. Eddie Izzard makes a great baddie, until he turns soft at the end. (Has he ever played a Bond villain?) It’s pretty harmless entertainment, and an excuse for some great one-liners. Maybe better titled My Super Weird, Jealous, Violent, Unstable Ex-Girlfriend. The Spiegeltent was one of this year’s Belfast Festival gimmicks. 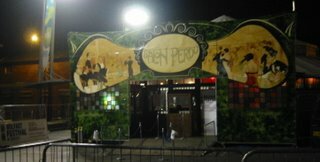 It’s a German construction that tours around the world, hosting its own cabaret shows, and offering a venue for performance, musical and spoken word events. 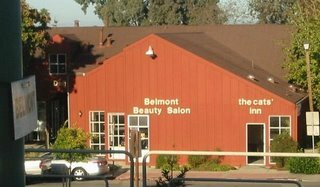 It’s a quaint venue, laid out with circular tables and chairs on the main floor, and bench seating around the edges. 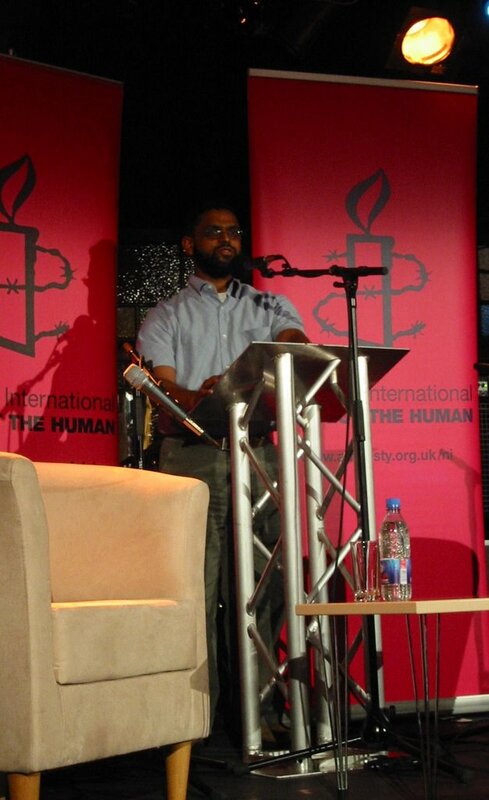 On Saturday night it was packed as the tent hosted Moazzam Begg’s Amnesty Lecture. Patrick Corrigan, Northern Ireland director of Amnesty International kicked off the show. Born in Birmingham (UK, not Alabama) Moazzam grew up in the UK. I’d think it’s unfair to suggest that his story also shows him to be a political activist. Willing to be involved, and get his hands dirty understanding and the working in some of the world’s trouble spots. Nine visits to Bosnia under his belt before heading out to start a girls school in Afghanistan (where female education wasn’t popular under the Taliban). During the invasion of Afghanistan in 2001, Moazzam and his family moved to Islamabad in neighbouring Pakistan for safety. It was there that the Pakistani Security Police picked him up and shipped him back to Baghram Airbase. A year later he was moved to the US facility at Guantanamo Bay. On 25 January 2005, after a prolonged and high profile campaign by his father that was causing increasing political embarrassment to the UK government, Moazzam was released along with three other UK citizens, without any charge, apology or compensation. George W Bush* described the Guantanamo inmates as amongst the most dangerous men in the world. Sitting at the front of the Spiegeltent about three metres away from Moazzam Begg, I didn’t feel at all uncomfortable. He’s a highly articulate and quick witted man, with a gentle spirit that belies his incarceration. A perfect speaker for the festival. He’s also surprisingly short - at least a foot smaller than the actor that played him in the Guantanamo** play in London’s West End! 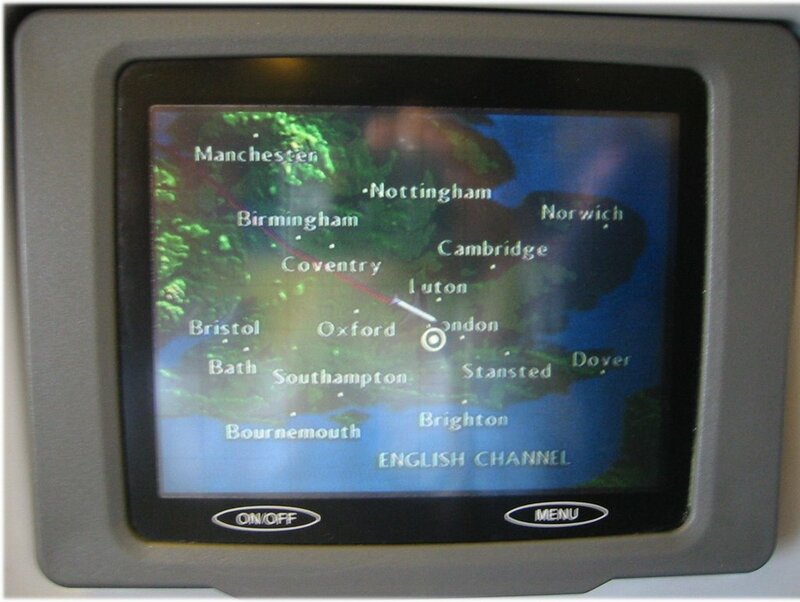 * I’m writing this up on the BA flight across to San Francisco! (I bet I’d get a long grilling at customs if they knew the kind of festival event I attend.) But the BBC World News briefing that’s just been shown suggests that Bush hasn’t had such a good night at the US elections. ** Walking past the theatre on the search for somewhere to eat I caught one of the final performances of Guantanamo in London’s West End. It was a disturbing play. it told the story of real people, including Moazzam, who were detained in Cuba at that time. As the final lines were delivered and the house lights went up, the orange-suited prisioners (actors) stayed in their caged cells on-stage, continuing to do their exercises, to say their prayers. The audience left in complete silence, only broken by chinks of change being dropped into collection buckets (for Amnesty or a legal fund, I can’t remember). Moazzam observed that although the world is focussed on Guantanamo as the most notorious prison (beating even Alcatraz? ), it’s not the worst. Overseas detention centres in Egypt and Morocco, where non-US operatives interrogate using local customs and practices on behalf of the US are a lot more sinister. He spoke very little about the exact circumstances leading up to his arrest and detention, nor said much about his treatment in Baghram or Guantanamo. Twenty minutes into his lecture, Moazaam’s generous spirit and lack of bitterness is amazing. He so doesn’t play the victim card. William Crawley hosted the question and answer session after the lecture. 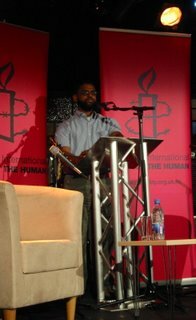 While waiting for the restrained audience to bubble up with some questions, he probed Moazzam about some of the allegations made against him: owning night-vision goggles (a single eye night sight used by aid groups in Bosnia to see in the dark) and militant Islamic literature (a copy of the Koran). And his previous conviction for benefit fraud (years ago) isn’t relevant to the discussion. I’ve a moral problem. If I take the position that people are innocent until proven guilty, then Moazzam is a political activist who has had no charges placed against him, and was wrongly incarcerated in terrible conditions against his human rights. I’d shake his hand and wish him all the best as he works with families who have loved ones (mostly fathers) locked up at Bush’s behest around the world, and promotes his book Enemy Combatant: A British Muslim's Journey to Guantanamo and Back. But if I’m honest there’s another thought that crosses my mind. And I’m nearly too ashamed to admit it. But Moazzam survived detention. He knew to befriend the guards. What if there is something in the (mis)information being spread by the US about him to this day, leaking stories to the US press. As a free man, has he fooled his Amnesty hosts? Is his gentle spirit a cloak for a more sinister desire to undermine the West and the War on Terror? I have to choose. And I have to choose not to merely give him the benefit of the doubt, but to accept the facts as they stand. Moazzam hasn’t been formally accused of anything that can stick to keep him locked up. On return to the UK, he hasn’t been put under house arrest and monitored around the clock by beefy armed guards. He lives with daily rumour and innuendo, but avoids engaging with it. He talks sense. I want to read his book. And I’m glad he’s a free man. I don’t think it’s safe to think otherwise.